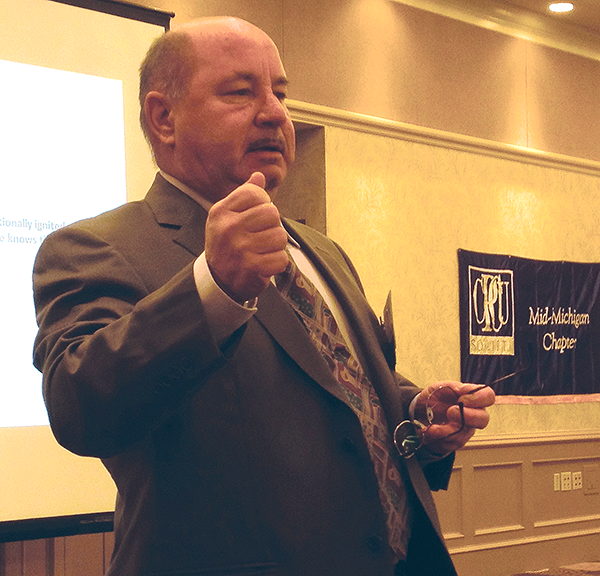 Norb Mankiewicz, a fire investigator for EFI Global, Inc., spoke to Chapter members about incendiary fires at November’s meeting. 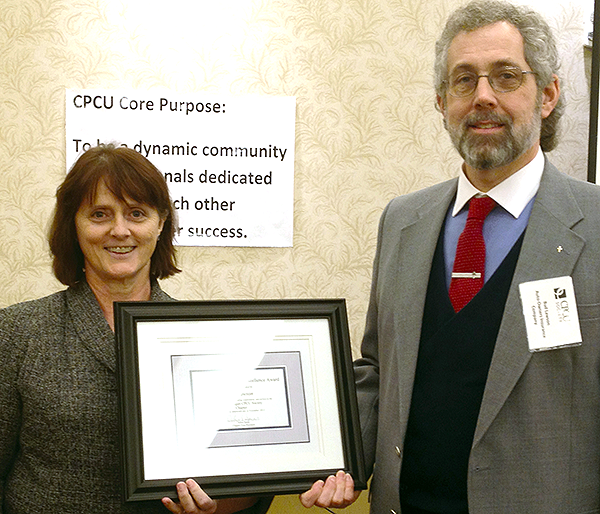 Deb Speas, vice president, presented the Vice President’s CPCU Excellence Award to Bud Lawson of Auto-Owners Insurance. The award is based on the individual’s continued support, outstanding commitment and service to the Mid-Michigan Chapter CPCU Society.